UPDATE: This deal has been extended one more day by Dillyeo.com. If you missed the chance yesterday, dont miss out on the free money again today! Dillyeo is a pretty interesting company that basically has one deal a day at the cheapest price on the Internet. I have been watching their products for about a month and the things they sell range from Vacuum Cleaners to Video Games to Earphones. They have a pretty good spectrum of things and every once in a while they offer some sort of free money deal. A few weeks ago they were giving away a $20 gift card for their website to be used on any of the daily deals. 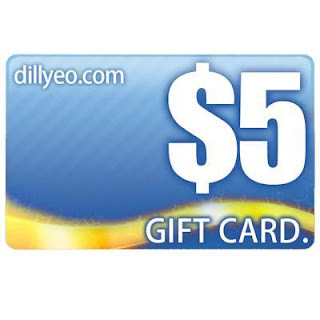 Today the deal is a $5 Dillycard (Dillyeo gift card) that can be used on any of their daily deals till the end of March. Limit one per household. It is free to sign up with them and they have some really good deals some times so check it out.